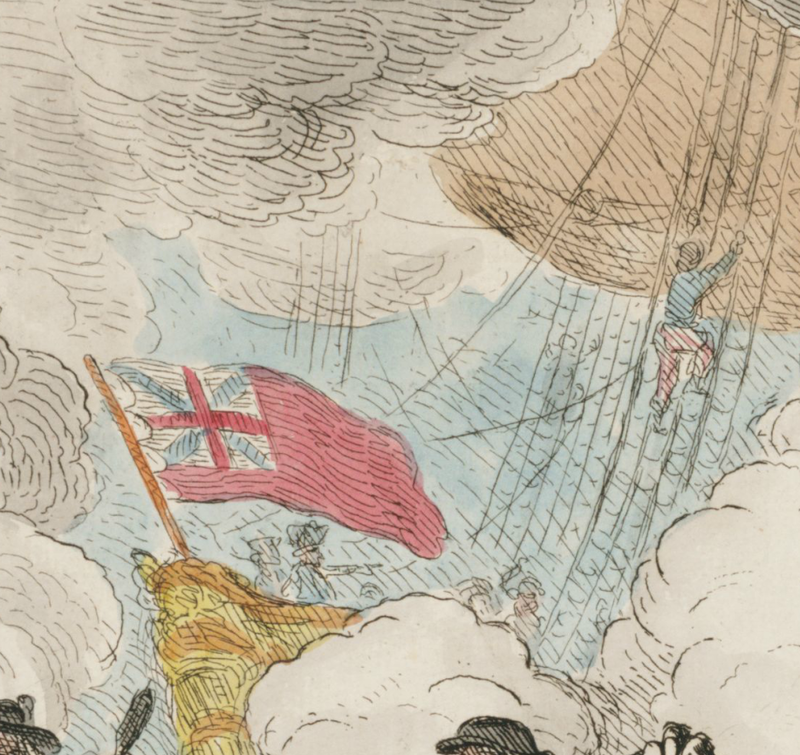 The Battle of Ouessan, James Gillray, 1790, Walpole Library. 1778 saw the first major engagement between the British and French fleets in the American Revolutionary War. The indecisive First Battle of Ushant was a disaster for both sides. In a previous entry I explored what that meant for the British, with the fallout between admirals Keppel and Palliser and their respective political parties. 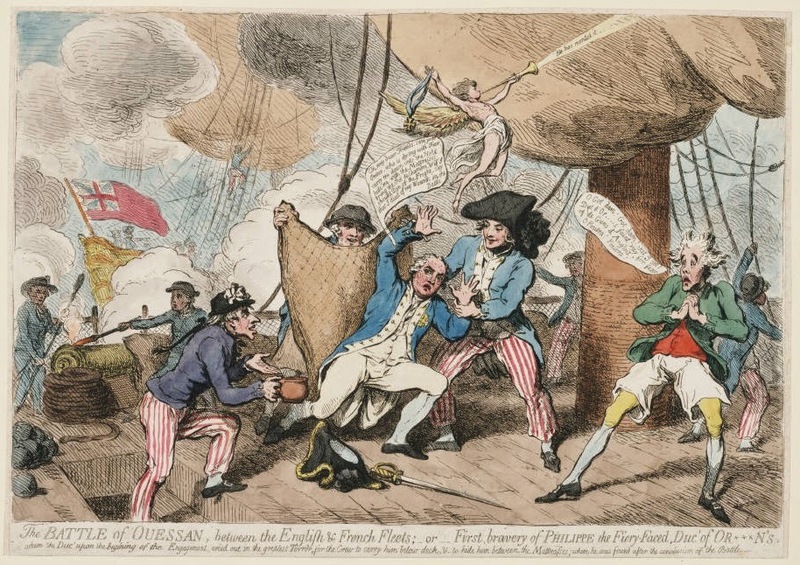 This piece by Gillray is from the French perspective...of sorts. The central figure is Louis-Philippe Joseph, the duc de Orleans. In the wake of a confused line of battle, Joseph sheered away from the fight. This was bad enough, but the duc got permission to carry news of the battle back to Paris, arbitrarily declaring it a victory and he himself the chief victor. After a brief time in the spotlight, Joseph was ridiculed throughout the nation. In Gillray's piece, a full twelve years later, the ridicule continues from across the Channel. In three more years, Joesph died in ignominy at the guillotine. The sailor wears a black round hat and sky blue jacket ending at the waist. His trousers are red and white striped, just like those of his French counterparts on the fleeing ship.